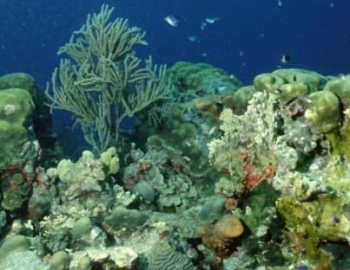 Lieutenant General Mahmoud Ashkenani, in charge of the environmental projects in the team, told KUNA that some of the bleached coral reefs showed signs of recovery with the re-growth of the algae and re-appearance of swarms of fish swirling around the locations. The divers, who scoured the sites off the coast, located some locations with full bleaching, many “dead ones,” noting drop of the water temperature by three degress, reaching 32 degree, he said, renewing the call on visitors of these locations to refrain from harmful action to the corals. Meanwhile, Lieut. Gen. Ashkenani declared the first successful Kuwaiti experience of planting coral settlements at Umm Al-Mardem island , after completing a special session in the Maldives, in coordination with French experts. Kuwait - Algae are re-growing and fish swarming some of the deteriorating coral reefs off Kuwait, signs of restoring life, the Kuwait Diving Team announced on Sunday.